Installing a garage door can be a tricky process because a wrong step can hamper your safety and damage the garage system unit door. 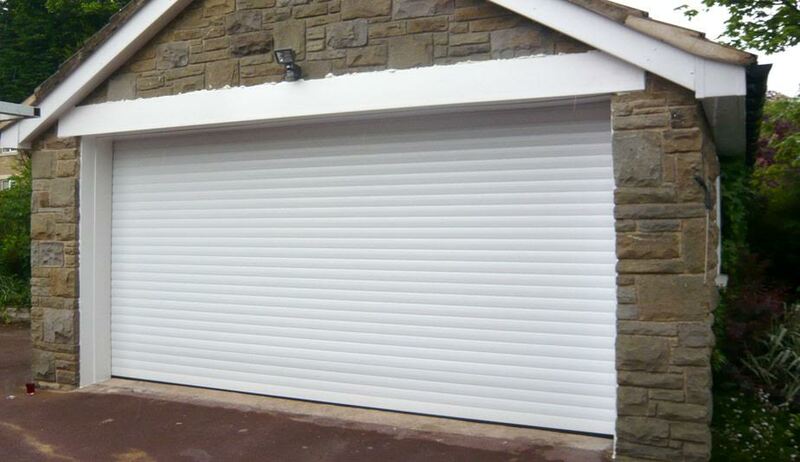 You need to be extra cautious while choosing the right type of garage for installation. So, if you are planning to install a garage door, read this article carefully to avoid 7 common mistakes in order to ensure a smooth installation process. Installing a new garage door, by yourself involves a lot of risks. The springs are the most dangerous things to handle and any accident with the springs could turn out to be fatal. So, always ask for assistance while working with springs. Using nails and screws is one of the most common mistakes that people commit. The nails and screws can hold the system’s door pieces in place but they are not as strong as lag screws. Since the door will open and close regularly, it will give a constant pressure to the nails which might be too hard for them to handle. Further, the pressure of the door will pull off the nails from the frame that will ruin the entire setting of the system door. Always remember to connect the lift motor at the centre. If you connect it to one side, the door will twist every time it is lifted. Install the lift motor at the centre of the opening will prevent the door from binding. Centerline mounting will also minimise the bending of the panels. Before installing garage doors, check the installation instructions carefully. Another grave mistake is not plotting the interiors of the garage area before the installation of the garage door. The plotting is done to avoid mistakes like installing a light fixture, or an outlet in the wrong section of the garage area. Intricate wiring and fixture placements should be plotted carefully before the installation of the garage door. Make sure that the door does not make any noise when you open or close it. A noisy door indicates additional problems of the garage system. It means that parts are either loose or they have not been properly lubricated. The doors should always open and close smoothly and you can make this happen by thoroughly tightening and lubricating the parts of the garage door system. The selection of the garage door must work with the design of the driveway. Once the car pulls into the garage opening, the door should always close completely and not strike the rear end of the vehicle. For instance, if you have a short driveway, opt for overhead doors that slide upward instead of opening outward as that would give enough space for the car to pull as close to the door as possible. So, while installing the garage door, consider the clearance needed for the system door to shut. Do not let it jam with the rear end of the car. Not addressing the problems with the track system can cost you a lot. Check the counter balance at different points. The system should remain fully intact when the door is raised. Make sure the counter balance springs and the torsion bars are installed carefully to prevent any kind of injury. Try to follow these guidelines to make your garage door installation process smooth and hassle free. Author Bio – Robert Denver is the owner of a reputed company dealing with different types of garage doors like Roller Doors Melbourne. His observations on installing B&D Garage Doors Melbourne are really valuable for a smooth installation process.